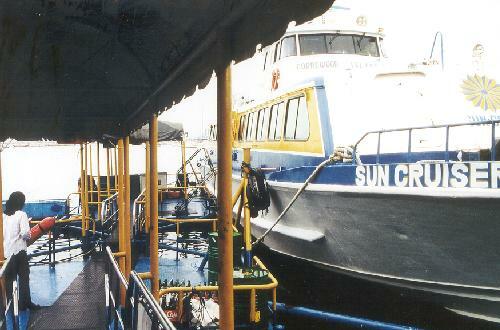 - Corregidor Island Tours - The tour boat disembarks early in the morning from near the Manila Yacht Club. The day-long tour costs about $30 and includes lunch and guides. 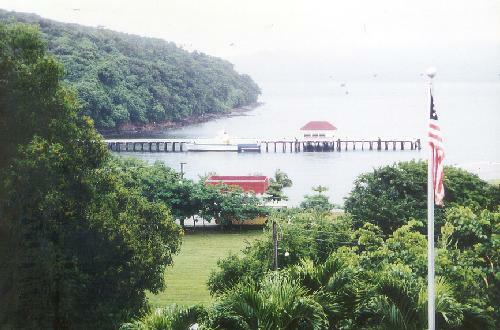 - Corregidor Island Landing - The peacefulness of the landing pier belies the fierce fighting that took place here during World War II. - Tour Buses - The well-run operation uses open-sided trolleys to ferry tourist to the many historic and scenic sites. 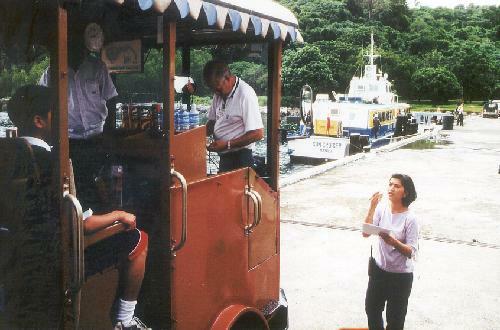 Each trolley had it's own guide ... and snack bar. The tarps that roll down to cover the sides came in handy during frequent downpours. 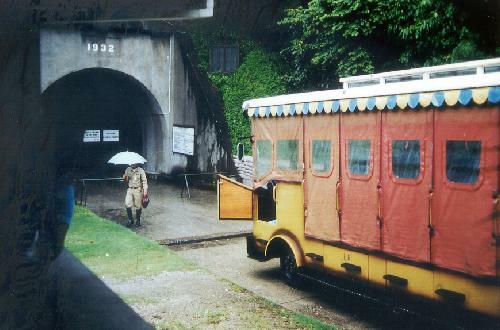 - Malinta Tunnel - Corregidor has a long history but is best known as the last command post for General MacArthur during World War II prior to Japanese occupation. Malinta Tunnel was the last redoubt and a unique audio-visual and light show using life-sized dioramas illuminates this period.